My family has some home videos. Some are on actual cassettes, and others are on our iPhones or in the cloud. They’re mostly short, and like photographs, they’re somewhat staged. In many cases, they show premeditated or sugar-coated shots of our lives. But MIT researcher Deb Roy has some home videos that break the mould I just described. Roy and his wife set up video cameras to record every room of their house for about 10 hours a day for the first three years of their son’s life. They have more than 200,000 hours of data. Analyzing it is a mammoth and ongoing task, but it has helped answer some highly-debated and longstanding questions about how humans develop language. For example, one paper describes how this data can be used to predict the “birth” of a spoken word. What factors facilitate word learning? Not surprisingly, the child produced shorter words before longer words, as well as words that tended to occur in shorter sentences, and words he had heard often before rarer words. To me, these are intuitive features of words that make them easier to learn. But there were also some less intuitive features that predicted how early the child would produce certain words. These features were more contextual, taking into account the when and where he heard words in the time leading up to his first production. One feature that predicted a word’s birth was based on how often the boy heard the word in different rooms throughout the house. Some words were spatially distinct–for example, “breakfast” usually occurred in the kitchen, and others were more spatially dispersed, like the word “toy.” Spatial distinctiveness tended to help him learn words faster. The researchers also measured temporal distinctiveness, or when during the day the word was likely to be heard by the toddler. Again, “breakfast” was temporally distinct, occurring almost exclusively in the morning, while the word “beautiful” was much more dispersed throughout the day. As with spatially distinct words, the researchers found that more temporally distinct words– those that were most often said at a similar time during the day — were learned sooner than those whose uses were spread out throughout a typical day. Finally, they looked at the contextual distinctiveness of each word. This is basically the variation in the language that the child tended to hear with the word of interest. The word “fish” was contextually distinct, for example, often occurring with other animal words or words related to stories. “Toy,” on the other hand, occurred with a much greater variety of words and topics, so it was less contextually distinct. As with spatial and temporal distinctiveness, contextual distinctiveness made a word easier to learn. This TED talk blew my mind. Why does distinctiveness affect word learning? Children learn language through conversations that are inseparable from the everyday life contexts they occur in. Those contexts are not just incidental features of word learning, but are actually crucial variables affecting how language is learned. This work is a reminder that language use and development is actually about much more than language, just as thinking is something that requires much more than just a brain. We humans are inseparable from our environments, and those environments play a big role in shaping how we think and navigate the wonderfully messy world we live in. 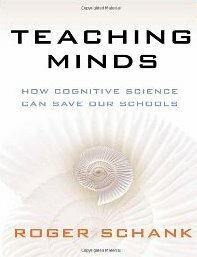 In Teaching Minds: How Cognitive Science can Save our Schools, Roger Schank critically evaluates current methods of education in light of what is known about how we learn. The core of his argument is that in order to be successful in the world post school, students must master cognitive abilities, or processes, instead of subjects and the fact-based knowledge that subjects often entail. Specifically, Schank identifies twelve processes which he claims underlie learning, all of which fall under the categories of conceptual, analytic, or social processes. They include abilities such as experimentation, evaluation, planning, causation, teamwork, and negotiation. Schank’s view is that mastery of the twelve cognitive processes is crucial for success in life after school. Because subjects, such as math and history, are the core of our current education system, Schank argues that we are doing a disservice to 98% of our students. At the university level, he claims that all institutions attempt to emulate Yale, whose curriculum is ideal for future scholars. However, most students receiving a college education aren’t going to be scholars, so they shouldn’t go to colleges that only teach useful skills for a career in academia. Because colleges are focused on training scholars, and high schools are focused on getting their students ready for college, high schools are also teaching useless knowledge and subjects to students. 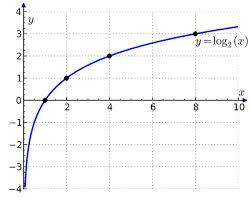 Again, what is necessary is a shift in focus from subjects to cognitive processes. Another tenet that Schank relies on is that students need to want to learn what they’re learning; they need motivation. Young children have great motivation to learn to walk and talk, and not surprisingly, he argues, they master these skills relatively quickly and are generally successful. By learning through real-life projects, students will be more engaged and will consequently gain more from their studies. In order to provide the real-scenarios from which students would optimally learn, Schank advocates for a shift to more online learning. Online curricula would allow dissemination to a greater number of students and would also allow students to make more choices in what they learn, thus ensuring they are motivated to learn what they are studying. The book concludes with examples of lessons aimed at imparting the cognitive processes that would be effective online. Schank’s argument that our education system over-emphasizes subject knowledge and under-emphasizes the cognitive skills underlying all professions is compelling. Instead of being able to recite the preamble to the Declaration of Independence, shouldn’t students be able to use logic to diagnose problems in the real-world, understand their causes, and make hypotheses about potential solutions? However, the program outlined in Teaching Minds is radically different from the current education system, and would therefore be met with resistance if it were proposed as an alternative. Schank’s twelve cognitive processes are one source of skepticism: why did he choose those particular skills and not others? Why are there no physical skills, such as bodily awareness or deep breathing, included in his list? If the processes on which his proposed program is based seem arbitrary, how can we avoid being skeptical of his entire program? It is also surprising to read an education advocate who would like to overhaul the current system in favor of online curricula. Schank does not address the educational costs of online learning. For example, schools are dynamic environments that foster spontaneous learning which will disappear if students learn entirely from pre-planned online curricula. In a similar vain, the time students spend at school outside of the classroom, such as in the cafeteria or even the halls between classes, is also valuable time. Students encounter peer pressure, bullying, and have the opportunity to engage in relationships that would be fundamentally altered if they communicated with each other solely through their computers. Might this type of learning hinder students’ social skills, which are already coming under attack in today’s video game-filled society? A final concern of mine that Schank does not address is the danger of allowing students to learn only that which they choose. Although Schank does not believe there is a compelling reason that students must be “well-rounded” in their knowledge, intuitively it seems to me that having exposure to many different fields and ideas is beneficial. Further, it seems likely that students, in choosing only subjects that initially interest them, they may miss out on interests they didn’t realize they had, interests that could have become evident had the students been exposed to them. Overall, Teaching Minds is a thought-provoking read, especially for those of us who feel the current state of education leaves something to be desired. While his main point is one that few people would argue with, his radical proposal for fixing it is likely to render it an impossibility.